HIV, or human immunodeficiency virus, is a condition that affects the immune system. Those who have HIV may suffer more infections, including infections of the mouth. Gum disease and other dental diseases often require aggressive treatments in order to manage and control the infection and prevent it from worsening. A regular exam schedule that includes a dental exam and X-ray, and dental cleaning is critical for maintaining and preventing serious dental and overall health problems for those who are HIV positive. Some of the most common dental conditions for those with HIV include dental cavities, leukoplakia, thrush, canker sores, herpes simplex or cold sores, and opportunistic oral tumors. These conditions can be mildly uncomfortable, or they can seriously threaten your health. If you have HIV, you will need to map out a treatment plan with your dentist that addresses your HIV status and focuses on preventative treatments. Regular brushing and flossing, avoiding alcohol and tobacco products, and eating a healthy diet can all help you maintain your dental health. You will also need to keep a watchful eye on your smile, and note if your saliva decreases or you have any new or unexplained mouth sores since these may be a sign of a new dental health condition. Children with HIV must also have their dental health carefully monitored. Preventative dentistry can help them avoid dental diseases. Parents and our dentist can work together to encourage good brushing and flossing habits. Our dentist may also suggest an antimicrobial mouth rinse to reduce the risk of infection. 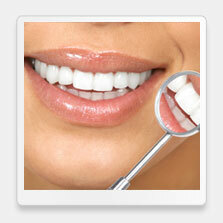 Contact Poneh Ghasri DDS, West Hollywood dentist, to learn more or to schedule a consultation.